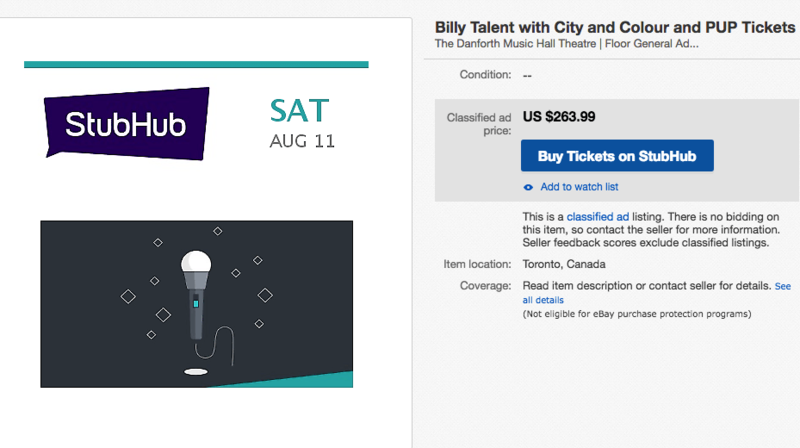 Ticket scalpers appear to have done it again, scooping up lower-priced tickets for the upcoming Billy Talent benefit concert in honour of the victims of the tragic shooting on Danforth Avenue and relisting them on online for several times the face value. Taking place on Saturday, August 11 at the Danforth Music Hall during the Taste of the Danforth festival, the concert will also feature special performances from City and Colour, PUP, and others, with all proceeds from the show being donated to the #TorontoStrong fund to support the victims of the shooting. Ticketmaster was the official vendor for the concert and was selling tickets for $50 CAD, which were limited to two per person. Ticketmaster also turned off its resell feature, which led to sellers and scalpers selling tickets on resale websites, with some tickets selling for eight times the original price. Currently, Kijiji has a pair of tickets going for a staggering $800, while eBay has a single StubHub ticket for $263.99 USD, which works out to be $342.65 CAD. Resale website ScoreBig currently has tons of tickets available, however, they range in price from $117 to $282. 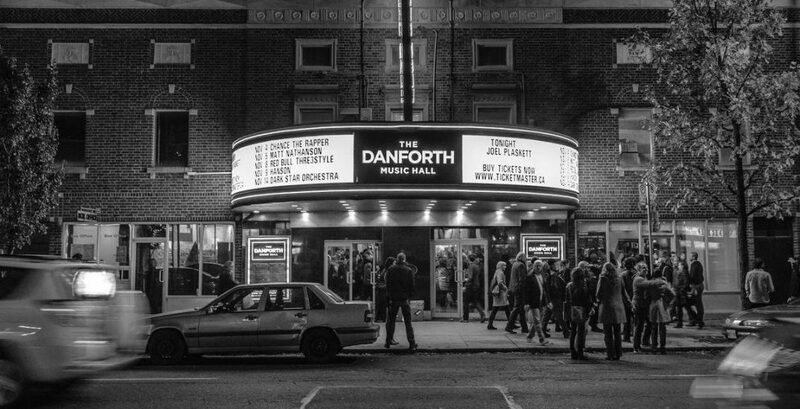 The reselling of Danforth Strong tickets at multiple times face value has prompted us to revisit our policy in this area. Upon reflection, along with feedback from our members, it quickly became clear that allowing this kind of transaction runs counter to the spirit of community which Kijiji is all about. As a result, we are making changes. Kijiji will no longer accept ads for the resale of tickets to fundraising events where all proceeds are being donated to a charitable cause or relief effort. All ads for tickets to the Danforth Strong event have been removed from Kijiji. 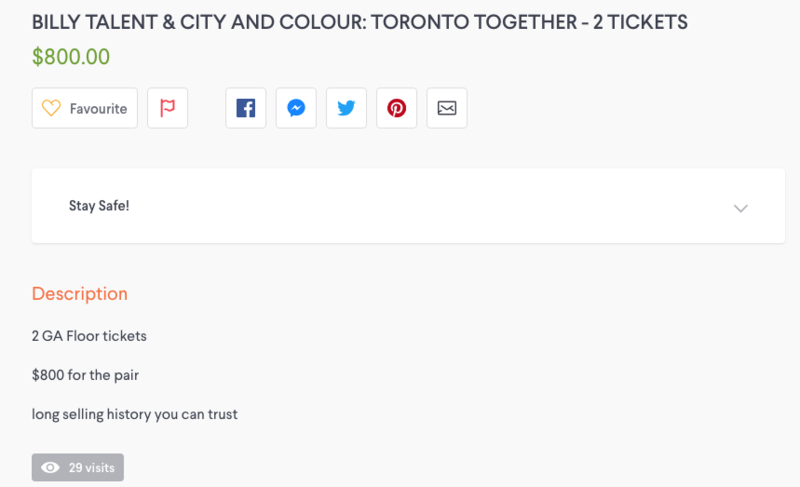 Fans continue to flood the concert’s Facebook event page in search of tickets, with many users commenting this is another example of scalpers ruining a Toronto show. Last year, Kathleen Wynne’s Liberal government passed legislation that would strengthen protection for consumers making significant purchases, including concert and event tickets as part of the Ticket Sales Act that would put a cap on the prices scalpers could charge for concerts and sporting events. However, last month, Premier Doug Ford “quietly shelved” a major part of this controversial anti-scalping law that would cap the resale price of tickets at 50% above face value, which was set to take effect July 1.